Canada’s newest national park, in the Mealy Mountains of Newfoundland and Labrador, will be the biggest in the eastern part of the country. At 10,700 square kilometres, it will be more than twice the size of Canada’s smallest province. Located in what is called the East Coast Boreal Natural Region of the country, the park includes the glacially rounded Mealy Mountains, extensive wildlife habitat, spectacular salmon rivers, and a 50-kilometre sandy beach the Vikings called the Wonderstrands when they sailed by it just over 1,000 years ago. The mountains overlook Lake Melville in central Labrador, and have been traditional hunting, trapping and fishing territories for Indigenous people for as long as people have lived in the area. The Indigenous retain these rights in perpetuity, and the park will be managed with an emphasis on conservation and ecological integrity. The park will protect a significant portion of the range of the threatened Mealy Mountain caribou herd. Wolves, black bears, marten, and fox can be found in the area, as well. The southern portion of the park will protect extensive wetlands for migratory birds. Eventually, visitors will be able to hike in this pristine wilderness and take part in other activities. Parks Canada will spend the next five years preparing a long-term tourism strategy in consultation with people from the area and the provincial government. This is Canada’s 46th national park and the fourth in Newfoundland and Labrador. The others are Torngat Mountains in northern Labrador; Terra Nova, on the east coast of the Island of Newfoundland; and the world-renowned Gros Morne, which is a UNESCO World Heritage Site, on the island’s west coast. If you need another reason to visit, National Geographic named this region in their bucket list of must visit places for 2018! You can read that here. 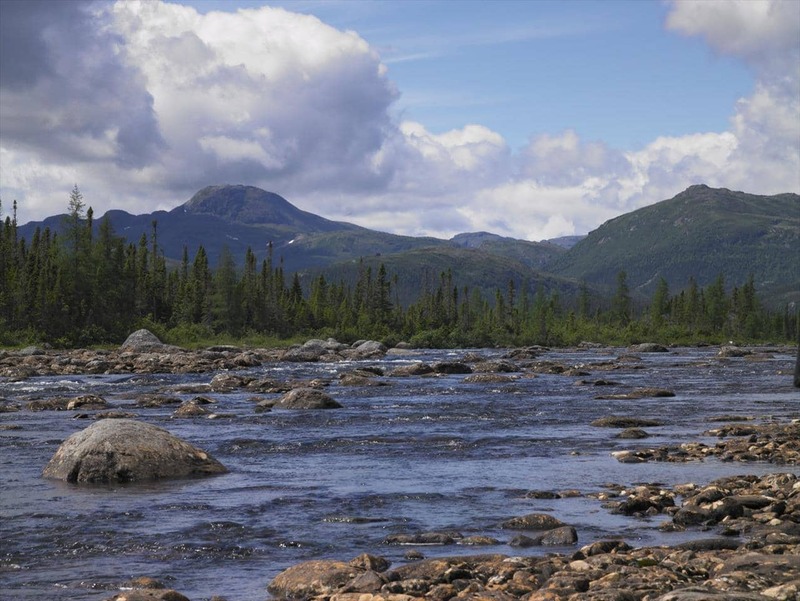 The area south of Mealy Mountains National Park is to become a new provincial waterway park. The Eagle River Waterway Provincial Park will protect the world-famous Eagle River and its Atlantic Salmon habitat. It will be about 3,000 square kilometres in size – the final boundaries have not yet been set. More than 30,000 salmon migrate up this river to spawn each year.